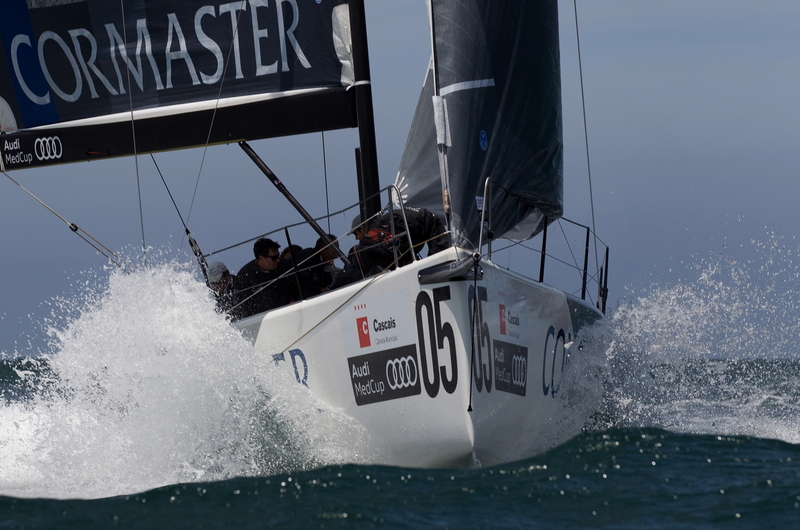 Quantum Racing racked up their fifth win in the last race in the final day of competition to take home the Audi MedCup Cascais Trophy. 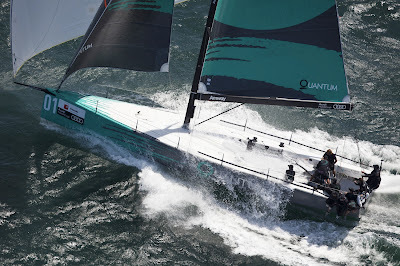 Quantum Racing were on fire today as Cascais delivered consistently strong winds, peaking again at 22 knots which provided fun surfing conditions for the crews. 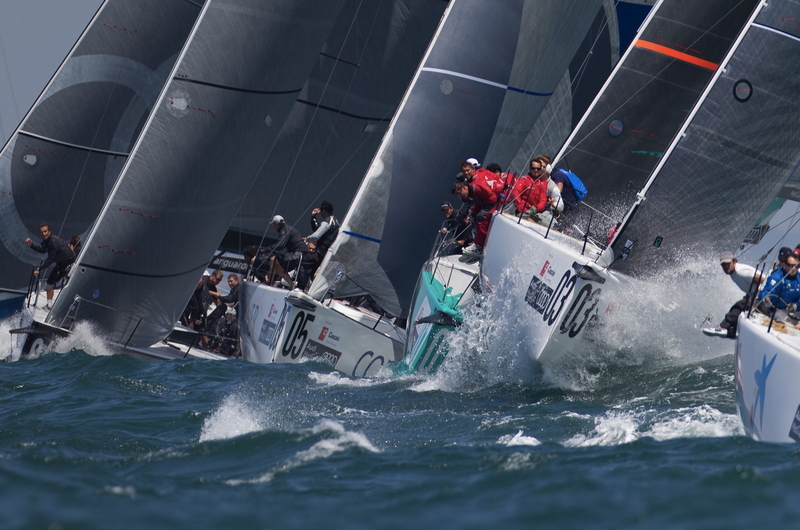 Ed Baird guided Quantum Racing to victory in the first race of the day where they led all the way from the first windward mark. Ditto in the second race. 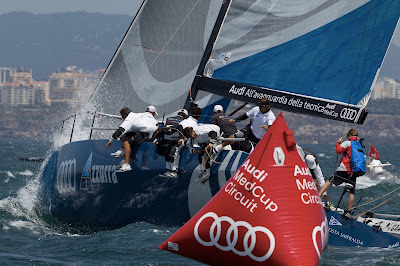 Unfortunately their nearest challengers Audi Azzurra Sailing Team lost their gennaker in the water and we forced to to cut it free. 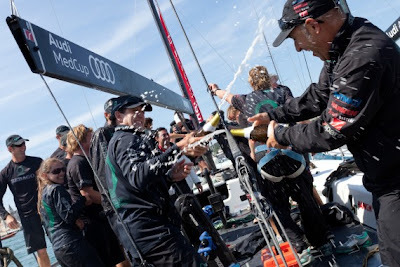 Synergy crossed the line in second place followed by Ran, Azzurra, Container, Bribon and ALL4ONE. Despite losing out on the finish line to Azzurra, Container finished in second place overall in their first Audi MedCup Circuit regatta.